The VCF is a tone-shaping module which processes the `raw' output of the VCOs to provide a wide variety of different tone colours and amplitude dynamics. 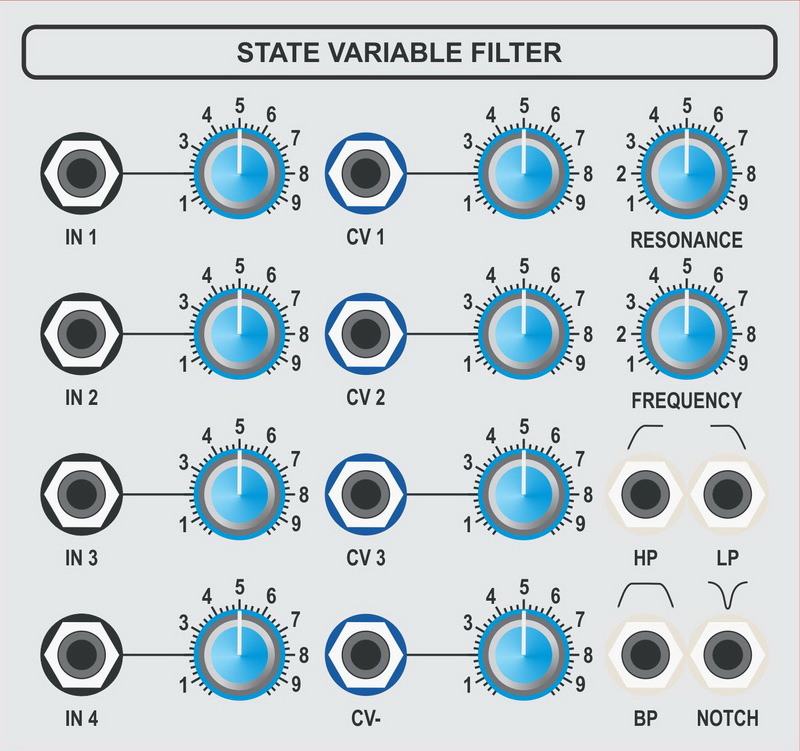 The VCF has four filter functions. A low-pass filter with a rolloff of -12dB per octave above the turnover point, a highpass filter with a rolloff of -12dB per octave below the the turnover point, a bandpass filter with variable Q and minimum slope of -6dB per octave on either side of the centre frequency, and a notch filter. The turnover point - or centre frequency in the case of the band filters - is the same for all four filter functions, and can be varied by the application of a control voltage. VCF 1 is a state-variable design with an exponential voltage-to-frequency response set at 1Volt/Octave. VCF 1 incorporates a 4-channel audio mixer for incoming audio signals and a 4-channel CV mixer for the control signals.